How Do You Treat Bumpy Thighs Orange Peel? Brazilian Miracle Cream when used with our Galvanic Spa is the most cost effective approach to treating Bumpy Thighs Orange Peel by Reducing the appearance of fatty bumpy thighs. Brazilian Miracle Bumpy Thighs Orange Peel Cream when used with our Galvanic Spa Kit works by botanically stimulating tissue circulation, melting away and riding the skin of excess toxins and fluid. 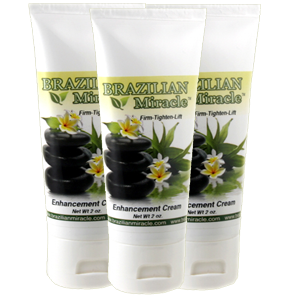 Brazilian Miracle is 100% all natural Botanical cream made with the highest quality ingredients. Free of harsh chemicals like alcohol, colors and perfumes, Brazilian Miracle Cream contains jojoba oil, caffeine, natural vitamin E, natural beeswax, lavender oil as well as other all natural skin-firming oils. Brazilian Miracle also contains the advanced nutrient, Lipocare which is effective at firming skin while reducing the ugly appearance of orange peel skin. Brazilian Miracle like most Orange Peel Skin creams aids in smoothing the layer of fat just beneath the skin surface. Bumpy Thighs Orange Peel are caused by fat cells under the skin which cause the surface to look dimpled and bumpy. This condition occurs in women of all ages groups and is not normally hereditary. Age is not a factor either, every woman is capable of developing Bumpy Thighs at almost any age after adolescence. It is specifically caused by tiny fat pockets right underneath the surface of the skin. These appear when tiny fat pockets become enlarged which causes the cells to take up more space between the skin’s connective tissue. Lumpy looking thighs and buttocks are a direct result of the fat expanding these spaces. This condition in women can cause serious image and self esteem problems which leads to limiting exposure in revealing clothing like swimwear and shorts or skirts. 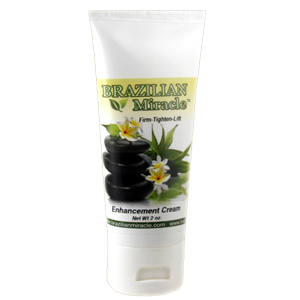 Brazilian Miracle Cream while effective at helping you deal with dimpled thigh skin and cellulite, it will not make anyone lose weight. It will however smooth your skin to reduce the appearance of unsightly leg dimples. 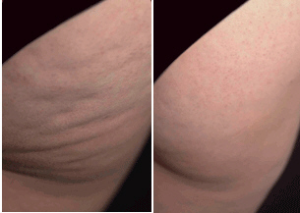 Take a proactive approach to reducing the appearance of cellulite now! 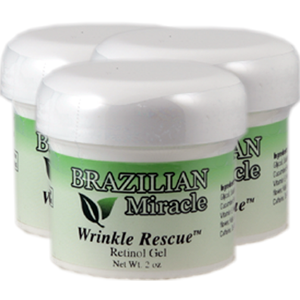 Brazilian Miracle also aids in the reduction of fluid accumulation while tightening the skins outer layer to reduce the appearance of cellulite. 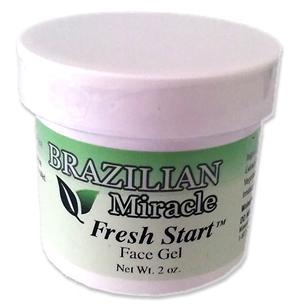 Brazilian Miracle firms up the skin in two ways. As a moisturizer keeping the skin hydrated and preventing the skin from drying out. More importantly it effectively maintains tissue health deep below the skin’s surface. It helps promote healthy elastin and collagen production for firm healthy, younger looking skin.